Russia has lost five members of its national women’s fencing team. But that’s not bad news at all. The ladies have decided to use the break between Olympics to become mothers. Among those about to go on maternity leave are Olympic champions Svetlana Boyko – the team’s captain – and Evgenia Lamonova. They beat their American rivals in Beijing, bringing Russia a golden medal. Three other members of the national team – Yana Ruzavina, Yulia Khakimova, and Inna Deriglazova – are also pregnant. Coach Vladimir Ivanov told the "Ves Sport’ agency that even though he is really happy for the women, the news is a little bit disappointing. “I’ve lost almost all the members of the (fighting) team that has been winning World Cup four years in a row and proved to be stars at the Olympic Games in Beijing,” he said. 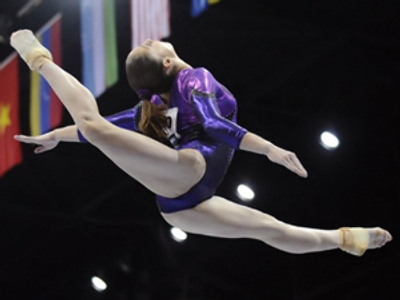 After Svetlana Boyko decided to put her sporting career on hold, Ivanov said he hoped World champ Deriglazova would replace her in the national team. 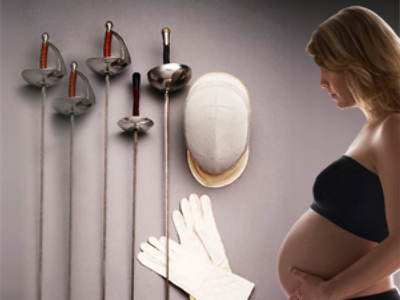 Team officials are optimistic that all the fencers, including the 19-year-old Boyco, will return to training once they’ve had their babies in plenty of time to prepare for the London Olympics in 2012.